Sri Lanka Freedom Party (SLFP) General Secretary MP Dayasiri Jayasekara said strict disciplinary action will be taken against SLFP members who support to form a National Government. Speaking to the media at the SLFP headquarters yesterday, Jayasekara said the United National Party (UNP) aims to form a National Government to settle certain disputes within the party. The UNP is not going to serve the nation by forming a national government. Therefore party level action will be taken against SLFP members, who assist the UNP to form a National Government. 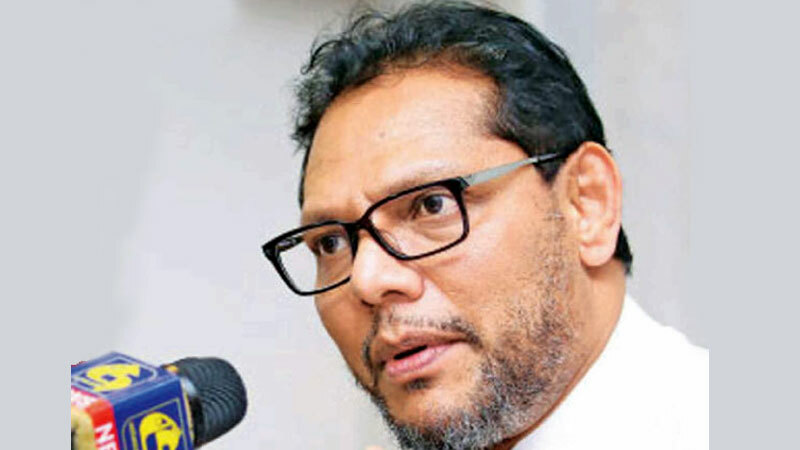 “The SLFP and the UPFA should cast their vote against the UNP National Government proposal and anyone violates this, disciplinary action will definitely be taken against such MPs”, he stressed. “The United national Front (UNF) wants to increase the number of Cabinet portfolios to 45 by forming this so called National Government to settle internal disputes. The people of the country will receive no benefits by a National Government but additional burden of maintaining a large Cabinet. “During the recent political turmoil, the UNP leadership boasted that they would form their own government but now they are talking on forming a National Government.Whatever government that is formed will come end in 10 months period with the next Presidential Election,” Jayasekara said. He said that they will take every possible action to defeat the UNF move to form the so called National Government. He urged all Sri Lanka Freedom Party MPs to vote against this proposal. He highlighted that tough action will be taken against their members, who work in favour of forming National Government. He called on public servants not to follow instructions of Monitoring MPs, as there is no legal provisions in the Constitution to appoint such Monitoring MPs. “There cannot be Monitoring MPs in the country as there is no provision in the Constitution to appoint them. Such posts have not been approved by Parliament or by the Cabinet. Activities of Monitoring MPs are illegal.The secretary and other high ranking officers will be responsible for this,” he said. While speaking on the Sri Lanka Customs issue, he said that it has been revealed the reasons for removing the Customs Director General at once. Accordingly, misconduct amounting Rs 43 million relating to Beedi leaves has been revealed, he said. “The Central Investigation Bureau of the Customs had been tipped off on December 3, 2018, that a 40 feet container has been removed from Customs without paying the tax of Rs 43 million. While unloading the container, Customs officers apprehended it in Wattala with four suspects. A politician and a Secretary of a Minister canvassed to remove the officers who conducted the raid from the Central Investigation Bureau. Once the Customs Director General refused to do so they threatened to remove the Director General,” Jayasekera said. “If she has done anything illegal, legal action can be taken after a proper disciplinary procedure. No state officer can be sacked like this,” he noted.